However, as I rummaged through the boxes, I came across one that was full of Matchbox cars – and, even before I delved in to see what was what, I was powerfully taken back to the 1970s (my formative years) in a far more powerful way than the magazines have come close to doing. And I guess that’s because my magazines have always been with me and continually referred back to, whereas the Matchbox cars were pretty much put away when I hit puberty, and have rarely seen the light of day since. Looking at them today, it’s interesting to recall how much I loved the Superfast 1-75 series cars. This range was launched exactly 50 years ago, and was effectively a clever rebranding of the existing range of Lesney’s Matchbox cars, but with low-friction wheels, jazzy new colours and pretty new boxes. By the time I was buying them with my weekly pocket money in the late 1970s, the range of 1-75 cars was constantly evolving, and contained some very interesting models. 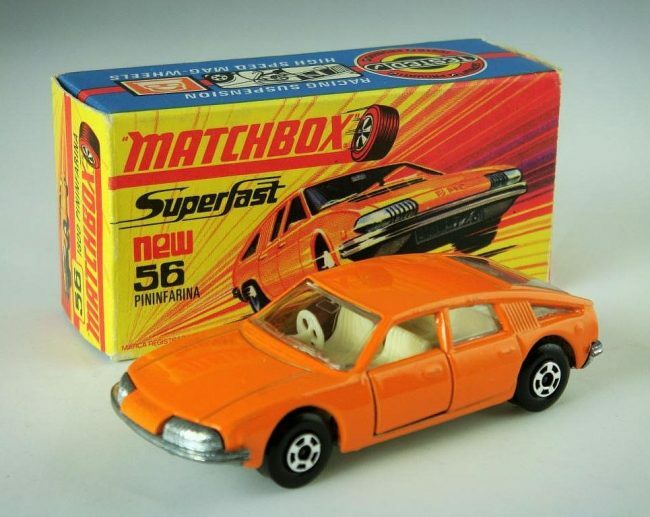 For me, Matchbox cars were always the one to have, boxed as below, and preferably the day-to-day cars rather than racers or customised cars. I loved playing with miniature versions of the sort of cars you’d see walking to school, or down to the shops, and therefore made sure that in my collection were beauties such as the Citroën CX (above), Ford Cortina, Renault 5 and Volkswagen Golf. Matchbox cars probably fed my love of the Citroën SM and the Pininfarina Aerodynamica (below), which was modelled so nicely, and has made this car more famous than any number of motor show appearances managed to do. So, that’s why I guess there will always be a place in my heart for these cars – and why they’ve been with me since childhood. Keith – don’t get caught up in today’s fad for medicalising the normal, by saying “Perhaps the uniformity of the packaging appealed to my OCD”. I read that (all) engineers as a group (stereotyping?) are all “on the autism spectrum”. I’d put navel-gazing mental health ‘experts’ well ahead of practical people who have given us everything from the wheel to computers. What have mental health ‘experts’ ever done for us? Well, they have invented all those mindboxes to lock us up in! PS, a mindbox is a non-fauna non-concrete alternative word to pigeonhole. I had that MG with the Corgi dogs in the back seat. Strangely I don’t remember it as having the Superfast wheels.The colour is right though. Guess it demonstrates how memories aren’t as reliable as we’d like to think. Matchbox No.64 M.G.1100 was available as a LESNEY with normal wheels (I have one of these in green) as well as from c1970 with SUPERFAST wheels as shown in the photo at the top of the page. (I’ve got one of these too!) Both have a registration number NMT 659. It’s probably a generation thing. For me it was the larger Dinky and Corgi models that were so much part to my life. My parents bought me my first Dinky – a Mercedes saloon with steering, windows and interior – the first Dinky to have them in about 1957/8. I think it cost about two shillings! By the time I was 12 I had about 50 Dinky and Corgi models and my father had made me a complete roadway system for them. A couple of years ago my wife started buying me the models I talked most about – my favourites. Austin Somerset and Devon, Hillman Minx etc. My favourite Corgi is still my favourite yank – the gull wing booted Chevy Impala. Not many impalas on the plains of the Mid West – not the four legged species. But then, not many four legged huskies in 1960s (old) England. Me & my brother had a lot of toy cars this size when we were young in the 1980s. As well as the usual Matchbox, Corgi, Dinky ones, I remember having Hotwheels & Majorette, Ertl & maybe 1 or 2 other companies. I think my parents might have some in their attic, but many of our toys went in charity collections over the years. More of a Dinky Toys lad myself,some of the Matchbox Kingsize models were pretty good,but that was in the early sixties long before the “Superfast” wheels were introduced. Mattel an American company? That’s what happens when companies allow themselves to be bought out by foreign ones. Can one buy ‘British’ steel now? 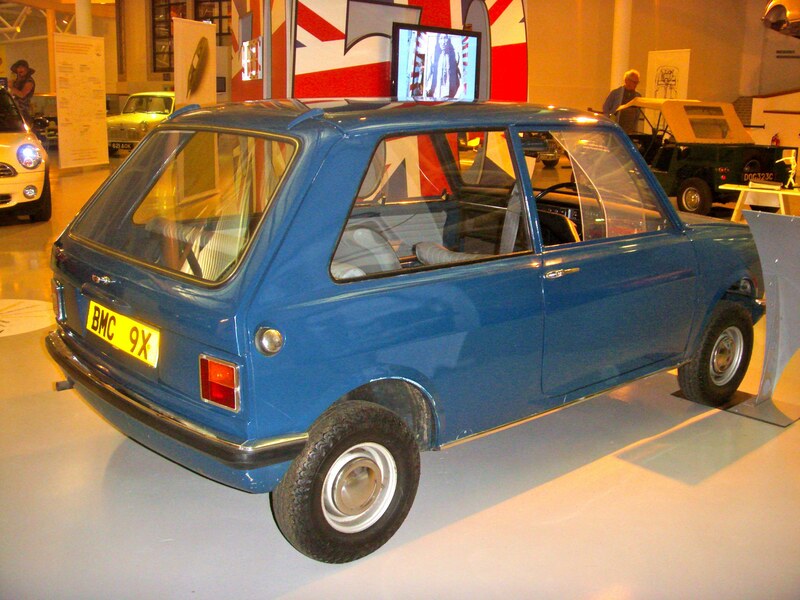 Or a ‘British’ full size car? That’s capitalism for you, either the managing directors want to line their pockets or the company is an economic basket case. But so often one reads of those who started a successful company or their family heirs can find no one to hand it on to. Is that the case with Morgan? Unfortunately my collection went to my younger cousins and probably then down the charity shop when they emigrated. However I still have my early 80s Majorette catalogue which when I look at I had a large chuck of! 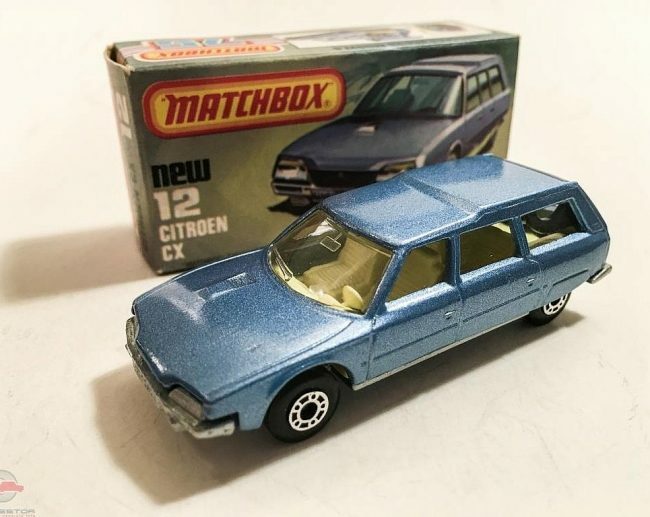 I too loved my Matchbox Citroen SM! I had the MG and Aerodynamics too. I don’t think the MG had superfast wheels either, but it certainly had soft enough suspension to ride down the slopey bit of the playground very well. Mine has no paint on the roof thanks to many high speed crashes. I’ve still got several boxes of old Matchbox cars, some from the early sixties, though all the very early ones lost their boxes. The quality of tooling peaked in the late ’60s when some superb models were done (read the Foden badge on the no.21 cement mixer for example). My favourite Matchbox car of all time is the No.55 Ford Cortina Mk IV. I had a whole fleet of the things in the early 1980s, which was the closest I ever came to owning a real one. Wonderful story that takes you down memory lane. If only I’d kept the boxes! Have a suitcase full of my old toy cars. 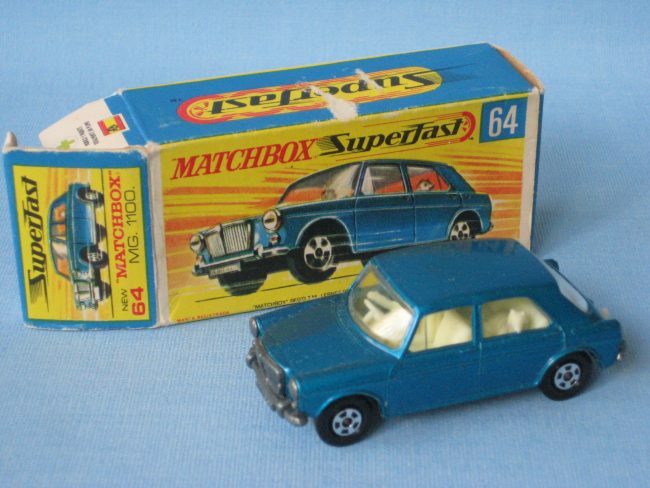 Matchbox were bought with pocket money & the larger Dinkys were Birthday or Xmas presents. What about Husky and Spot-On? I know what you mean about the Majorette models having a ‘more superior’ suspension travel to either the Corgi or Matchbox models – often my Majorette W107 Mercedes Benz 350SL would out-corner my Matchbox 350SL and Corgi 500SL. The latter two would inevitably end up crashing into the skirting board during intense car chases. Also, the scaling of the Matchbox W107 SL was disproportionately wide compared to either the Majorette or Corgi versions. Today I still have my 1:72 Corgi Rover SD1 3500 complete with sliding sunroof on display in the cabinet. The feeling of having a toy model where you could open and close something as exotic as a sunroof (albeit a black plastic panel) with your fingers as it negotiated past the dog’s bowl and table legs on its daily jaunt to another room (in 1:72 world it felt like the next town), was seen as very special back in my childhood. Happy days! My parents house still has skirting boards with dents in caused by me & my brother pushing toy cars into them. The stairs were frequently used as a cliff where many a villain’s car would be driven off at the end of a chase. I remember saving my pocket money, about 20p a week, and then going to the local newsagents who had a large selection of Matchbox toys at about 60p each if I remember correctly in the mid>late 70’s. Sadly I dont think I have any of them now. My favourite was the Mini Ha Ha, closely followed by the Matra Rancho! Memory lane time right enough. I was a fan of Corgi cars when I were a nipper. All aunts and uncles were primed by my parents to buy me toy cars for birthdays and Christmas. I desperately wanted the ‘Ghia’ (Fiat 2300 with a different nose) with its opening doors, bonnet and boot (and a corgi on the parcel shelf) but my folks made all sorts of excuses for me not to get it; too dear being the usual one. Christmas day came and I received not one, but two, of these wonderful toy cars. Those aunties and uncles had been instructed well. That same Christmas I remember I also got a Corgi Ford Zephyr Mark II estate in police livery, a Corgi Fiat 600 Jolly, a Spot-on Jag E-Type and a Matchbox ‘Models of Yesteryear’ De Dion Bouton. A later birthday saw me receiving two James Bond Aston Martin DB5s (good old aunties! ).